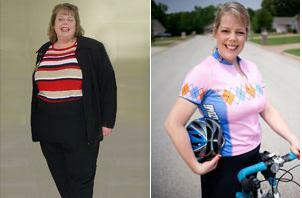 Find out how Deborah Taylor lost 170 pounds—and stopped hiding under layers of clothes. In 1990, Deborah Taylor tipped the scale at 320 pounds and hid under big, baggy clothes—even in summer. The Texas native had packed on pounds after being sexually assaulted earlier that year. So Deborah took control. She put herself on a 1,500-calorie-a-day diet and lost 15 pounds. Then she hired a personal trainer. 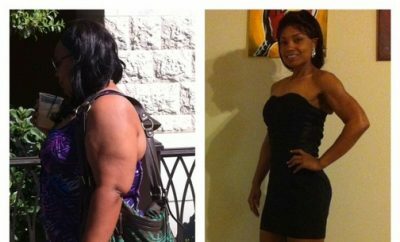 With literally half her body to lose, Deborah and her trainer put together a 1,200-calorie diet. Over the next nine months, she worked up to power-walking a half-marathon and competing in endurance-cycling events—her new love. Raleigh Bicycles is giving Deborah a 2009 Raleigh Supercourse Road Bike ($1,740), so she can keep biking for a long time to come. Congrats! Deborah couldn’t give up dessert altogether. (Who would?!) So she swapped crazy-high-calorie treats for lighter options. Her favorite: South Beach Living Oatmeal Chocolate Chunk Cookies. “Each one is packed with chocolate chips, and they’re prepackaged by two so you’re not tempted to overdo it,” Deborah says. When faced with temptation, Deborah reminds herself “healthy people do not eat that” to help her stay on track. She found this tip and others in the book The Art of Possibility: Transforming Professional and Personal Life by Rosamund Stone Zander and Benjamin Zander.